“The generation costs of Concentrated Solar Power with 6 hours of Thermal Energy Storage (TES) are lower than the costs of PV with 6 hours of batteries and this is likely to remain so until 2030” stated Luis Crespo (ESTELA), citing a report published by NREL in 2016 (available here). Whereas the capital costs of PV are lower, variability, lack of affordable storage options, and a relatively low capacity factor mean that generation costs could be higher. This is particularly true when curtailment comes into play. In places with a high penetration of variable renewables, PV and Wind could produce a lot of power when demand is low, leading to over-production. When this happens, grid operators are forced to disconnect the plants, resulting in wasted energy. This waste would be prevented if the electricity could be stored in batteries. However, large-scale batteries that could store power for 6 hours or more remain costly. Thermal Storage (TES), a technology compatible with CSP, offers a more affordable way to store energy. Concentrated Solar Power (CSP) with thermal storage (TES) complements variable renewables such as Wind and PV. CSP + TES is dispatchable, which means that it can provide electricity whenever required, unlike based-load coal or variable PV. Thanks to this flexibility, CSP + TES allows the power system to accommodate a higher share or variable renewables whilst minimizing curtailment, which means that the full value of the variable renewables is realized. For further information, refer to the slides presented by Mark Mehos (NREL) during the workshop. Concessional Financing plays a key role in optimizing the cost of financing CSP plants. Given that most costs are incurred upfront, CSP projects could be perceived as risky by private investors who then charge higher rates to cover perceived risks. 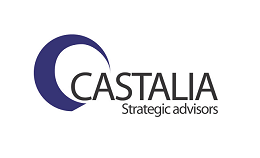 The lower rates offered by concessional financing help attract other sources of financing whilst lowering the Weighted Average Cost of Capital (WACC). Achieving a low WACC is essential to lowering the overall cost of CSP. According to IRENA, CSP plants with a WACC of 5% could have a cost of $0.08 per kWh by 2020, whereas those with a WACC of 10% would cost $0.11 per kWh, according to Michael Taylor from IRENA (See slides here). Managing environmental and social aspects of the site, a job that normally falls to developers. Masen has achieved cost reductions at each successive tender. Noor II and Noor III are 16% and 12% cheaper than Noor I, respectively. CSP risks are well-known and can be mitigated throughout construction and operation, according to Badis Derradji from ACWA Power. He also argued that CSP projects offer a sizeable amount of business to local supply chain and contractors. Modularity of solar field and large quantity of components required opens opportunities for industrial manufacturing and cost reductions, although delivering the required quantities can be a challenge for local players. 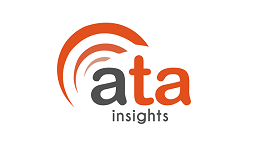 There could be up to 30 GW of operating CSP projects worldwide by 2030, under the optimistic scenario of the forecast presented by Jorge Servert (STA) Global installed CSP Capacity under the Business as Usual Scenario would be 25 GW. 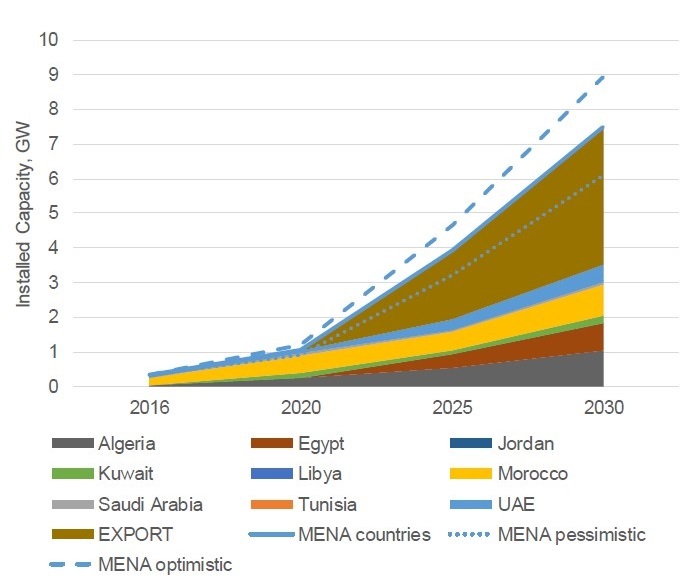 The same forecast estimates that between 6 and 9 GW of CSP in the MENA region by 2030. Currently, global CSP capacity stands at 5 GW. 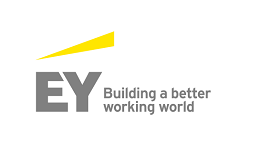 Significant increases such as those forecasted by STA would contribute to significant cost reductions through economies of scale. China plans to ramp up CSP installations to 5 GW by 2020, according to Sun Rui (EPPEI). 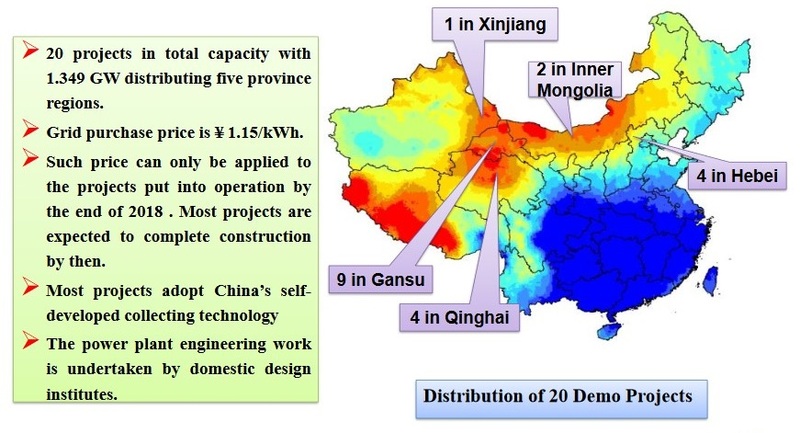 The National Energy Administration of China announced in September 2016 that 20 CSP Projects, amounting to 1.35 GW, will be built as part of the first batch of demonstration projects. This projects will receive a tariff of ¥1.15/kWh, as long as they are operating before 2018 ends. China plans to dramatically increase the share of renewable energy in power generation to 41% of generated energy by 2030 (Total generated energy is estimated at 10 trillion kWh). CSP with thermal storage will fulfil a grid stabilizing role in a system with high penetration of renewable energy. It is estimated that China could produce more than 90% of the required CSP components locally. Should China achieve its CSP target of 5 GW by 2020, they would double current installed capacity and bring about cost reductions that all countries would benefit from.